EMPRESS VINTAGE + The Tarot Woman will be at the magical marketplace at the Modern Witches Confluence 2018. 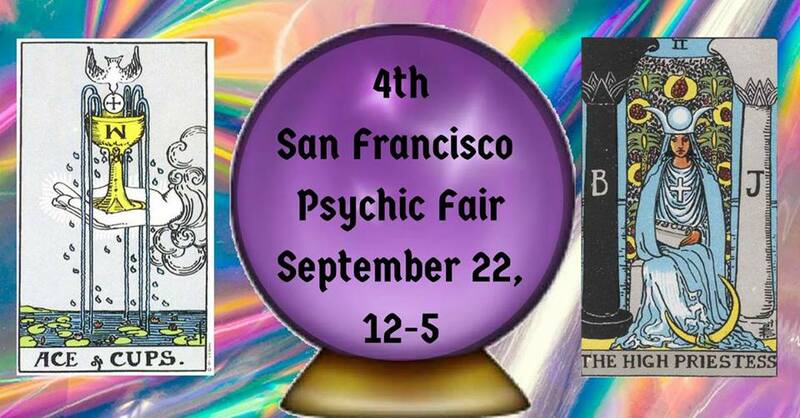 The Tarot Woman will be giving tarot readings at the San Francisco Psychic Fair. The Cups are a fantastical suit in the minor arcana of the tarot. Cups represent emotional wisdom, love, the subconscious, financial flow, and relationships with friends, family, and the self. Represented by the element of water, Cups embody the dreams, wishes, and desires born from our deepest emotional and symbolic states. In this workshop, you will discover the meaning of each Cup card as well as dive into your personal relationship with creativity. Janina will provide you with a new tarot deck you can keep. After pulling a Cup card from the deck, you’ll practice automatic drawing to create a Cup card image. No drawing experience is required, just follow your intuition. The card that you draw will serve as a foundation for tarot work, including advice on manifesting with the tarot and tarot meditations. CLICK HERE TO PURCHASE COURSE! See you at Lightning in a Bottle! June's tarot salon, June 22nd 7-9pm, will focus on the 5th Major Arcana- The Hierophant. A very complicated card, often only narrowly referenced in it's most negative potential, the Hierophant is the bridge, the window in the wall- or one who stands at the gate, charging for entry. The most progressive Hierophant manifests as one who acts as a guide and liaison between worlds, one who carries and passes on the traditions of their people. 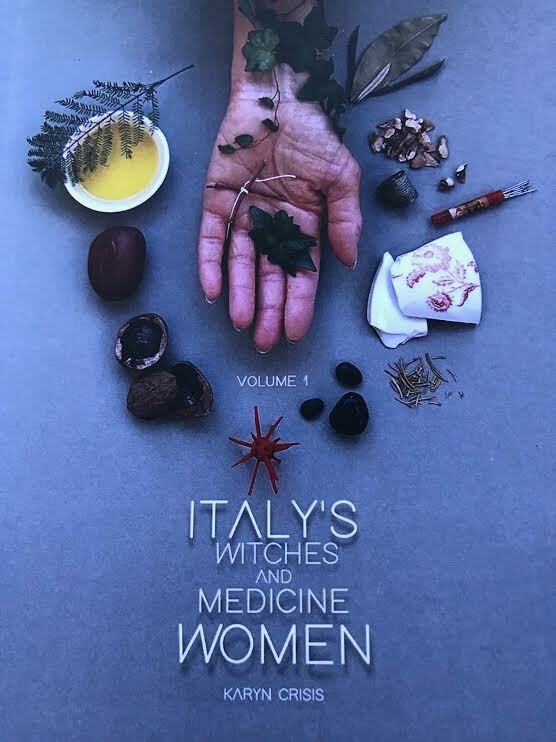 They devote themselves to a path as a healer, a therapist, a spiritual mentor, etc, so they can assist in massive, mysterious questions and struggles of life. The corrupt Hierophant is a ruthless, diabolical figure indeed. They manifest as those who abuse authority, exploit vulnerability and confusion to attain power and profit over those in need. The corrupt Hierophant maintains rigid, archaic paradigms that vilify and promote fear and hatred of anything outside of fundamentalist, state/church-controlled narratives. They claim they have the only "true" gateway to The Divine, and therefore are the only one with answers. They make a point to discredit, and at worst, eliminate those who challenge this status. In this salon, we will deeply analyze and workshop controlled binary narratives, stagnant paradigms in society and self, traditions worth protecting, and how to elevate this force into courage, open-mindedness, and the ability to find the connection between seemingly opposing ideals. Will close with guided meditation by @_bone.head_ at @empress_vintage. Bring your cards, a notebook, and anything relevant to the Hierophant for the altar! RITUAL AT EMPRESS TONIGHT! FULL MOON LUNAR ECLIPSE. FIRE CAULDRON TO BURN AWAY WHAT IS NO LONGER SERVING YOU. How do we become sacred keepers of wisdom and inner knowing? In this class we will introduce methodologies on how to expand vision, intuition and psychic ability. We will work with somatic and visual approaches to understand the 3 main clairs (clairvoyance, clairaudience and clairsentience) that will help activate a relationship with signs, symbols and inner guidance. Students will be lead on a guided meditation to the Akashic records, a concept adopted from the sanskrit word akasha which translates to "sky", "space", "luminous". "In theosophy the Akashic records are a compendium of thoughts, events, and emotions believed by theosophists to be encoded in a non-physical plane of existence known as the astral plane." This meditation allows people to access answers, visions and symbols in regard to specific questions they feel called to seek guidance to. The class will culminate in a Full Moon ritual and celebration in the Empress garden where we will call in the four directions, release emotions that are no longer serving us to the great fire cauldron and will culminate with community oracle readings. Feel free to arrive without sign up as well.